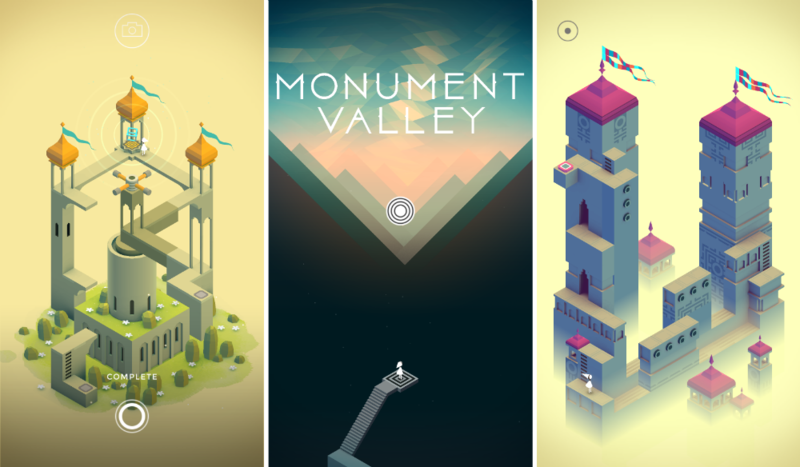 A new game hit Google Play this morning, from the makers of one of my all-time favorites Whale Trail, called Monument Valley. In this game, you play as a silent princess who must navigate endless amounts of beautiful mazes, testing your brain power, as well as your patience. The game is insanely beautiful, with a soothing soundtrack coupled with it. You are given a starting point, then must move elements of the level to get your princess to the end point. It is very straightforward, but with the mixture of 3D and neutral colors, it is easy to miss an obvious path to victory. The game costs $3.99 with no IAPs, but if the price scares you, don’t let it. From my 20 minutes so far, I would say it’s worth every cent. Definitely go check it out.